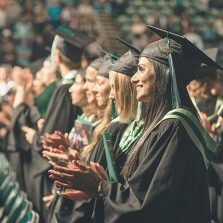 Presented by Prospera Credit Union, the Town & Gown Dinner is UFV’s signature event that celebrates students, Alumni and Community. Meet student leaders and find out first-hand about how UFV is helping them to advance their life and career goals. Special thanks to all of the student award recipients and volunteers who are participating.